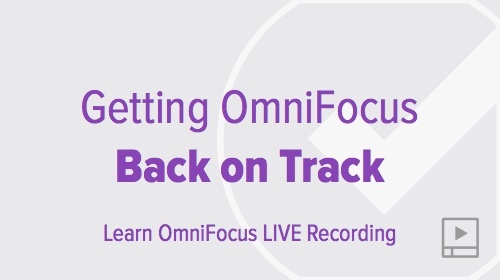 Investing some time to configure OmniFocus in a way that mirrors your life and work makes your OmniFocus setup useful and relevant. 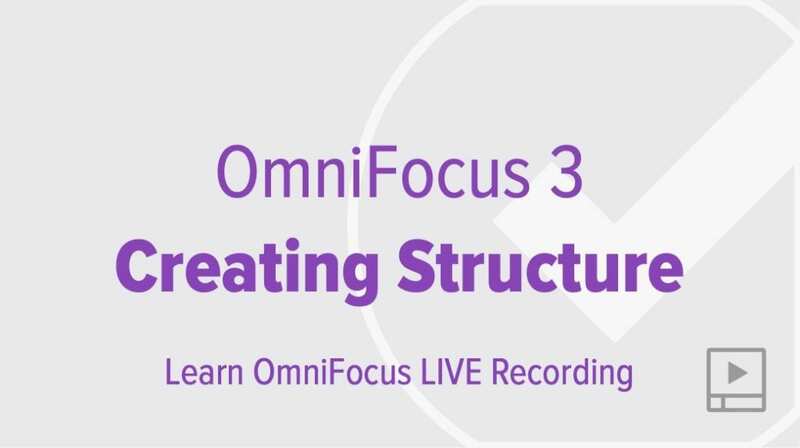 Watch these live session recordings and learn how to structure OmniFocus in a way that accommodates your multifaceted life. 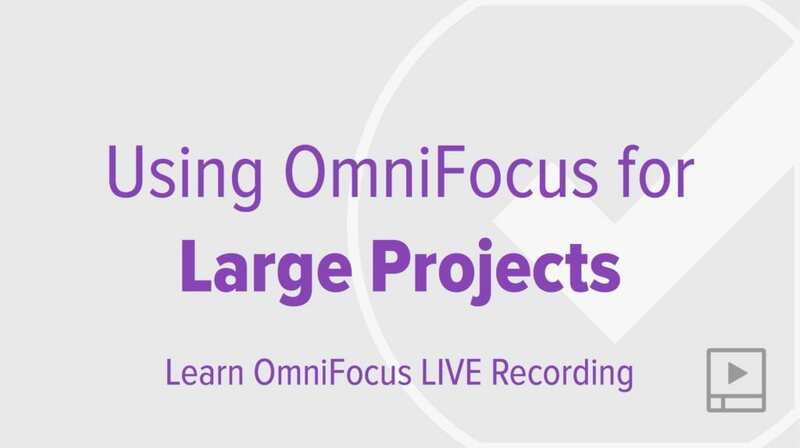 You’ll learn how to map out your personal and team responsibilities, and how to translate these maps into an OmniFocus setup that helps you stay organized as you go through the day. 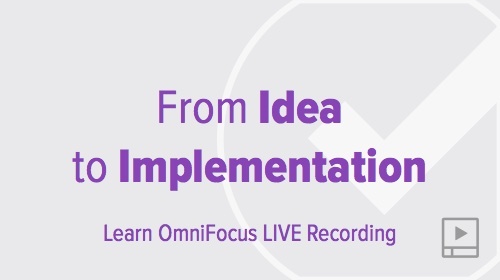 You’ll also learn strategies for creating contexts that will support you in making highly effective use of your time. 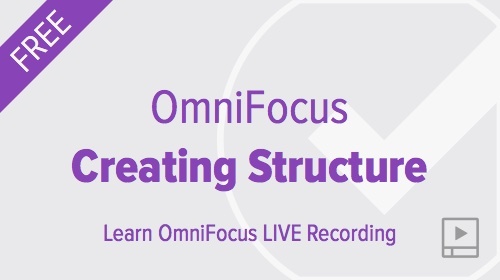 Also, be sure to check out OmniFocus best practices in the Articles section of our content library.